As we have seen recently, using micro four thirds cameras can yield some beautiful results. 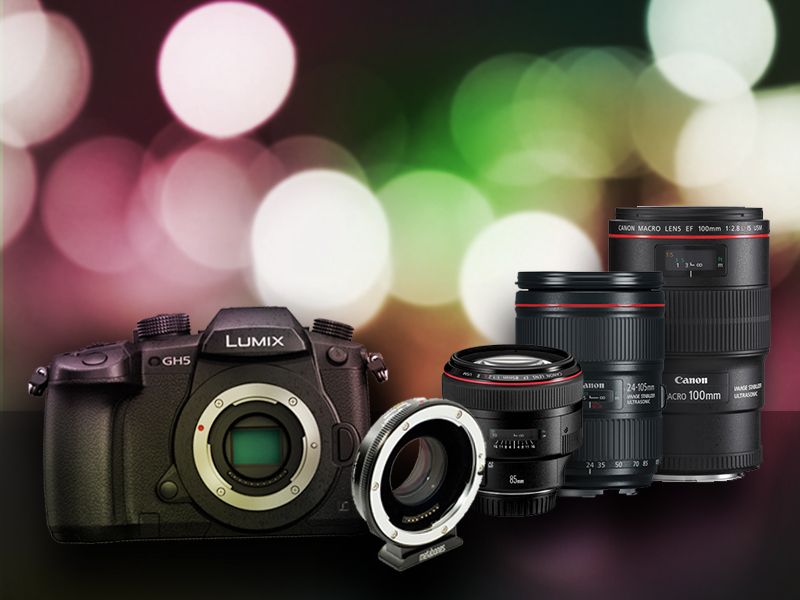 But knowing which lenses can be paired these handy little cameras can be tricky. That’s why we’ve created this useful infographic. 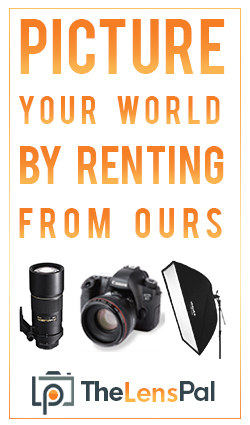 Now, pairing your micro four thirds camera with a non-proprietary lens is easy. 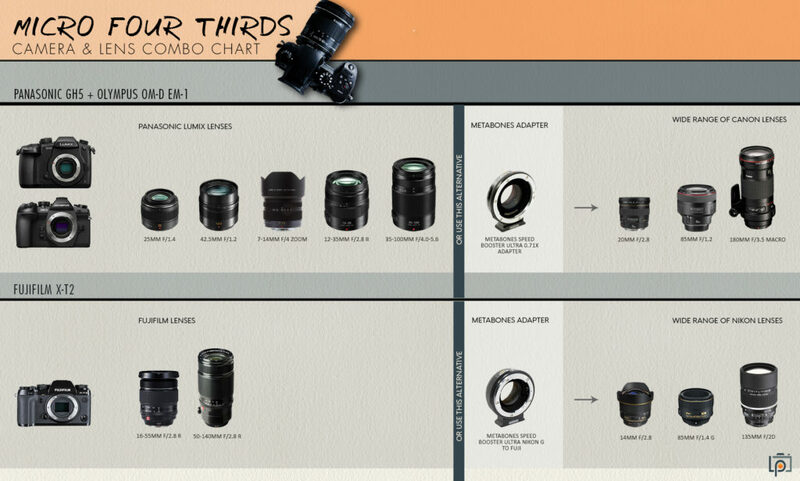 As you can see, using the appropriate Metabones adapter, you can pair any Nikon lens with the Fujifilm X-T2 and nearly any Canon lens with the Panasonic GH5 or the Olympus OM-D EM-1. We’ve recently updated the firmware on all of our Metabones, further increasing their lens compatibility. The update fixes a variety of issues impacting compatibility between micro four thirds cameras and Canon lenses. Servo zoom, auto focus, and auto iris with Canon’s CN-E 18-80mm lens are now functional. The update has also added support for the Panasonic Lumix GH5. You can read up on the details of the update here: Firmware Update for the EF-M43.